Mount Shasta (el. 14,162 feet) rising south of U.S. 97 between 99-97 Cutoff Road (Siskiyou County A-12) and Big Springs Road (Siskiyou County A-29). Photo taken 04/01/05. U.S. 97 is a major north-south U.S. highway in the Pacific Northwest, but it only has a short section in northern California. The U.S. route begins at Interstate 5 (Old U.S. 99) in Weed, then continuing northeasterly into Oregon near Dorris, passing through several small towns along the way. The route becomes more important as it continues north, serving the cities of Klamath Falls, Bend, Madras, and Biggs in Oregon and Yakima and Wenatchee in Washington. In the 1950s, plans called for U.S. 97 to be commissioned in Alaska at the northern end of the Alaska Highway if the Canadian territory of Yukon decided to renumber its section of Alaska Highway as Yukon 97. The territory refused to do this, so U.S. 97 was never extended into Alaska. Nevertheless, in California, U.S. 97 survived the 1964 U.S. Highway Purge and remains a viable a regional route. A plaque at the Mount Shasta Vista Point provides information about the mountain, including some staggering statistics about it. 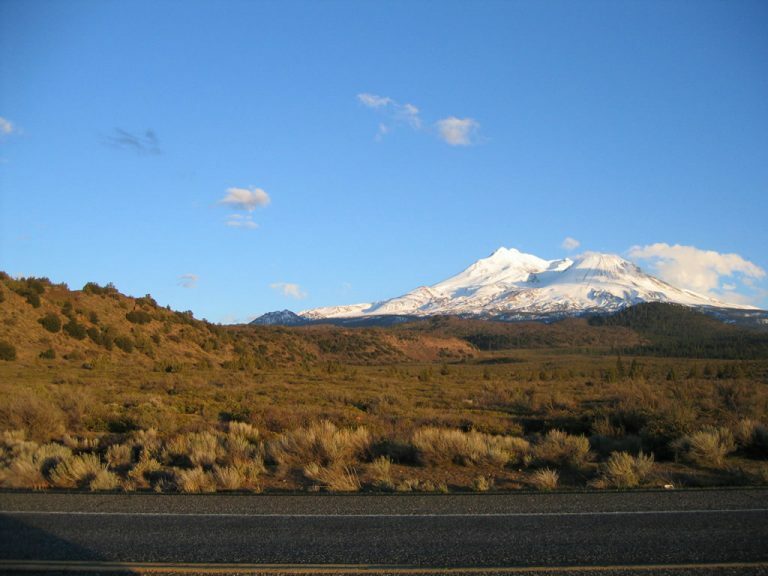 Mount Shasta is the second tallest peak in the Cascade Range, and five named glaciers are permanently located on its slopes. 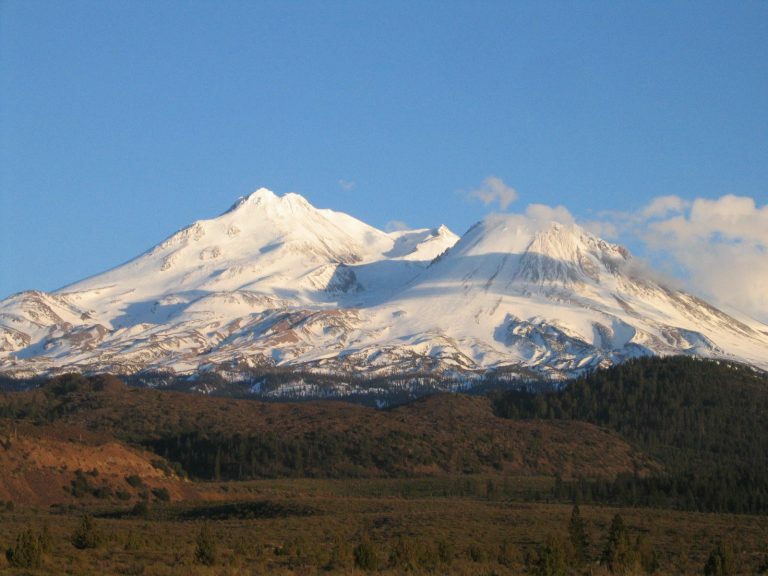 The mountain last erupted in 1786, and the volcano is considered likely to erupt again. Photos taken 04/01/05.